Snapchat was once seen as a messaging app geared mostly toward teens and pre-teens. But over the last several years, the social network has added features and made changes that make it appealing for brands, celebrities, and similar influencers to create their own accounts. No longer is it a niche picture-texting service -- it's become an established media platform valued at over $19 billion with more than 161 million daily users. And some of the best Snapchats are actually from companies you've loved for years.As for the age range of its user base, eMarketer reports that 34% of all Snapchat users in the U.S. are between the ages of 18 and 24, and comScore found that 69% of U.S. smartphone users ages 13 to 24 use Snapchat. That's why brands from every industry and with all manner of target demographic -- from General Electric (whose username is @generalelectric) to the musician DJ Khaled (@djkhaled305) -- are now some of the top Snapchat accounts now connecting with followers and customers. It's low-cost but highly personal and engaging. You'll notice the content these accounts post on Snapchat isn't polished: It's raw and scrappy and fun. After all, Snapchat is all about letting your brand personality shine and relating to your target audience on a totally human level. Before we list who to follow on Snapchat, let's be sure we all know how to follow brands on Snapchat and view their content in the first place. To follow brands on Snapchat, you'll first have to make a Snapchat account of your own. 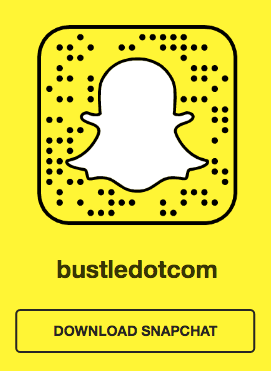 Snapchat accounts are nothing fancy: no profile picture, no bio, no URL to your website. 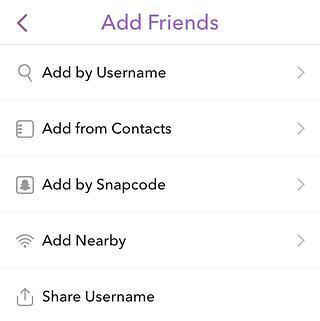 All you really have to do is download the free Snapchat app (for iOS here or for Android here), and then create an account by entering your email, a username, and a password. 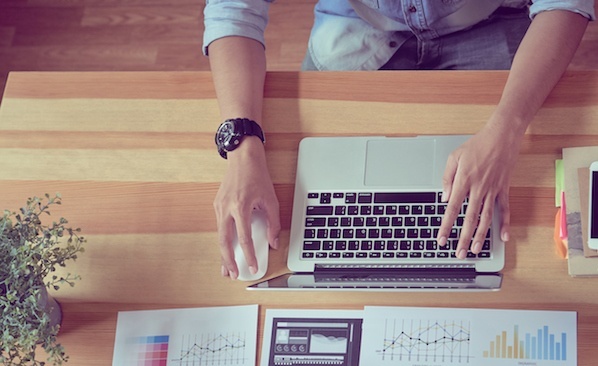 Once you've made an account, you're ready to find and follow brands (and other users). Step 1: Open the Snapchat app and swipe down on your screen. You'll be taken to your home screen (below). Step 2: On the home screen, add friends by clicking the "Add Friends" option. Step 3: Time to add some friends. You can add friends in a few ways: by username, from your address book (i.e. 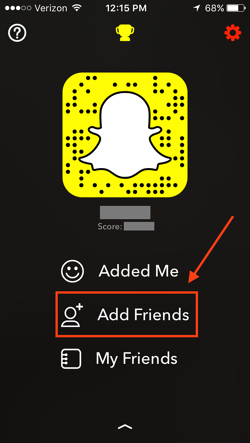 your phone's contacts list), by Snapcode, or from someone nearby. To add folks by username, you'll have to type in exact usernames to find people, as there is no account suggestion option like other social networks have. 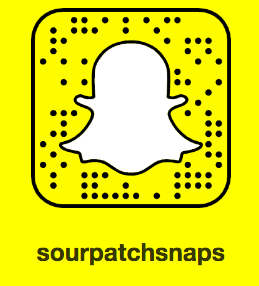 For example, Sour Patch Kids' Snapchat username is @sourpatchsnaps, not @sourpatchkids -- but you'll have to type that. To add a user by scanning a Snapcode, simply take a picture or screenshot of a user's Snapcode with your mobile device. Then, find the "Add by Snapcode" option by following the steps outlined above, and choose the photo you took of the Snapcode. The app will recognize the Snapcode and add the person automatically. Step 4: Once you follow the brands you want on Snapchat, you can view Snapchat content the same way you'd view your friends' Snapchat Stories: Open the Snapchat app, and then swipe the whole screen left to get to your Stories. Brands aren't set apart from other users, so you'll have to find the brands among your friends. Click on a brand's username to view its Story. Now that you know how to find and follow brands on Snapchat and view Stories, let's get into the best brands to follow on Snapchat. But in 2014, one of the company's major goals was to grow awareness among its core demographic: candy-loving teenagers in the United States. Because teenagers were reportedly spending more and more time on Snapchat, the brand decided to go there to create fun content that teens could share with one another. More recently, Sour Patch Kids started experimenting with Snapchat Spectacles to film a Tasty on BuzzFeed-style "recipe" video -- although it's not quite the same. The Snapchat Story purports to show viewers how to bake cookies with Sour Patch Kids in them, but the baker is as mischievous as the candy Kids. This silly snap showcases the fun and prankster spirit the brand is known for while also demonstrating the neat circular video filmed using Spectacles. The retail company Everlane was another early Snapchat adopter, but with an even more daring approach to the then-new social platform. In November 2015, it wrote this on its official blog: "We’re here to make a bold claim. 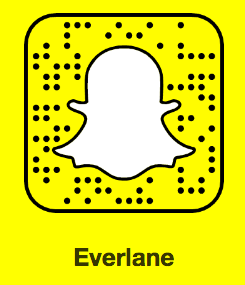 Snapchat is going to become the de-facto social channel for Everlane. Over the past month, we’ve been testing it in small batches and we’re in love." Why did Everlane love it so much? Because it found it was an even better way to showcase its radical approach to transparency than other social networks like Facebook. "Facebook is a spot for updating our community and having one on one conversations," read the post. "But Snapchat is completely different. Snapchat gives us the chance to explore transparency in a completely new way. No fancy cameras. No editing. Just raw, live, footage. It’s beautiful, and it’s the platform for the modern generation." We're trying to find little bits of what's going on here daily at headquarters to share with our consumers. I think it's a rare opportunity for them to see how a brand is being built day in and day out. A lot of bigger companies have already established their brand, so what they're seeing is something that's a finished product, whereas we have such a long way to go." 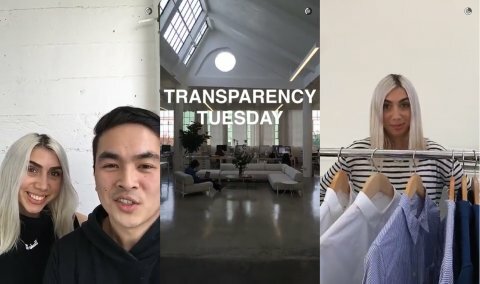 On #TransparencyTuesday, for example, Everlane uses Snapchat to record a walkthrough of its business or factories -- every single one of which team members personally visit. Let's face it, networking and telecommunications technology aren't the most engaging topics on social media. (To be honest, I'm not totally sure what those mean.) 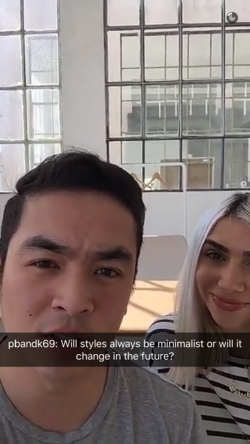 So instead of trying to explain or show highly technical devices on its Snapchat channel, Cisco showcases the other side of its organization: the humans who work there. In Cisco's "Day in the Life of an Account Manager" Snapchat series, it chronicles the workday of an account manager as he or she visits different cities and plans on behalf of Cisco. 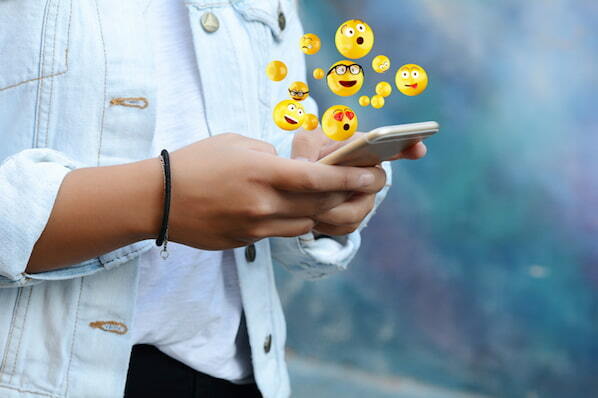 Using emojis, jokes, and lenses, the star of the Story gives the brand a more human side. 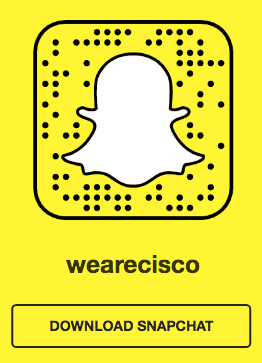 Cisco's Snapchat is a great lesson for B2B marketers who want to engage on social media but aren't certain of the subject matter. If you don't think your product or service is that exciting, focus on other aspects of your organization, such as the company culture or lives of employees. Things like events, parties, and behind-the-scenes tours will give your brand personality and will give you more ideas for content to feature. Would you ever have guessed that General Electric, a multinational conglomerate corporation, would have an active and effective presence on Snapchat? The brand has actually done an awesome job of using its platform to showcase its geeky personality and to encourage interest in science -- something GE has done well on other social media networks like Instagram and YouTube. One of the best ways GE uses the platform is sharing some of its findings from its emoji science curriculum, which GE established along with the National Science Foundation. 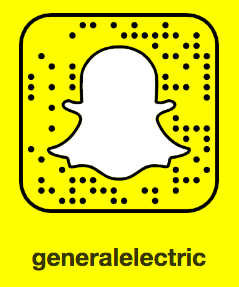 The company also encourages Snapchat followers to interact directly: "Just add ‘generalelectric’ on Snapchat, send us an emoji, and we’ll send you some science," GE wrote on its Tumblr. 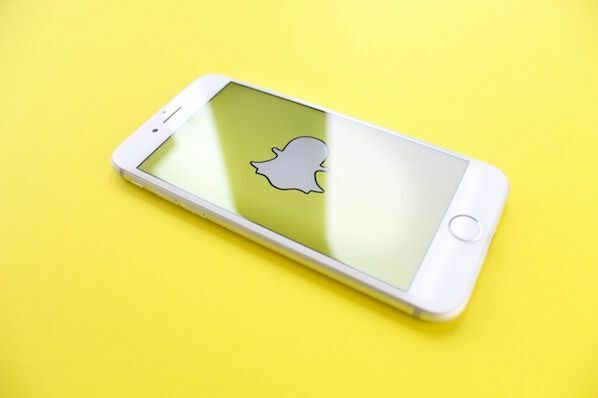 GE's global director of innovation Sam Olstein said about Snapchat, "The disappearing nature of its content encourages repeat usage and provides us with a unique way to celebrate invention with an expanding community of young fans." Here's what Gatorade did: When a football team wins a game, it's customary that the team dumps whatever sports drink is in the team cooler onto their coach's head. During the Super Bowl football game in 2016, the folks at PepsiCo-owned Gatorade released a genius Super Bowl Snapchat lens that let anyone give themselves a Gatorade bath, too. To create the ad, the folks at Gatorade partnered with Snapchat to purchase a sponsored lens, which costs around $450,000 per sponsored lens on normal days, and up to $750,000 on "peak days" like holidays and the Super Bowl. Then, Gatorade had professional tennis player Serena Williams -- whom Gatorade sponsors -- star in the ad above. The ad shows her getting virtually "dumped on" by a cooler of orange Gatorade, thanks to the lens. The company tweeted out a GIF of the Snapchat to get the momentum going, and by the end of the day, the sponsored lens had reportedly been viewed over 100 million times. 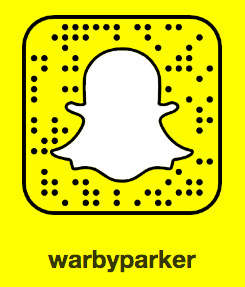 At Warby Parker, Snapchat is used for a variety of topics: everything from showcasing products ("Today on Snapchat, we try on our favorite Crystal frames in 15 seconds") to giving users a chance to hear from the company's co-founder Neil Blumenthal ("Our co-founder Neil Blumenthal is inside the secret room today. Tune in on Snapchat as he answers your questions!"). 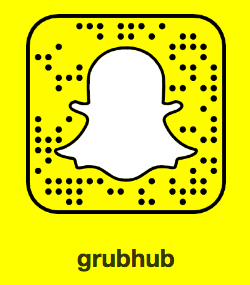 GrubHub, also an early Snapchat adopter, has been putting out content on about a weekly basis since late 2013. But Grubhub uses Snapchat a little differently than many of the folks on this list. Rather than producing one-way content, GrubHub focuses on building out an active community by sending out Snapchat messages that require responses, like exclusive coupons, contests, giveaways, and promotional codes. During the 2016 holiday season, GrubHub set out to "deliver joy" by posting Snapchat Stories filmed from the perspective of a delivery person wearing Snapchat Spectacles. Snapchat is all about authentic, behind-the-scenes looks at a brand, and most people don't think of the point-of-view of a delivery person when they think GrubHub. This campaign gave the brand a more personable, human side while showcasing some cool new tech. The writers, editors, and other folks at The New York Times use Snapchat a little differently -- sometimes poking fun at their misunderstanding of it, other times using it as a storytelling platform (and then analyzing it in writing later). For example, check out the Snapchat Story below from Nick Bilton, one of The Times' writers. The Story is very meta: It shows his friend teaching him how to use Snapchat so he can write a story for The Times about how to write Snapchat Stories. Like other brands, it's very much a raw, behind-the-scenes look into the life of the writer. "I'm not actually writing right now. I'm just kind of pretending," says Bilton at one point during the Story. Here's another example of a Snapchat Story from The Times that's a little more serious. This one was part of an analysis of what makes an objectively good Snapchat Story, which later culminated in this piece by Talya Minsberg. For the piece, she recruited journalists at The Times to participate in a mobile challenge to create an objectively good Snapchat Story. So, what makes an objective good Snapchat Story? Minsberg says it's nearly impossible to define, but "the best Snapchat stories generally are ones that tell a narrative in a personal, visual way that pulls in and keeps the viewer." Another important takeaway from her piece is this: "Even Snapchat stories must uphold the same standards as anything else published by The Times. There are just more doodles and emojis in a Snapchat story than you would see in print!" DJ Khaled may not be your typical brand, but he has single-handedly redefined the celebrity presence on Snapchat -- and there's a lot brands can learn from him. 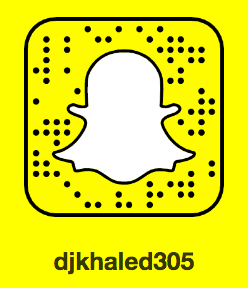 In March 2016, less than a year after DJ Khaled had even heard of the app, it was reported that his Snapchats were attracting around 3 million to 4 million viewers each. What's his secret? First, his style of shooting videos is really effective. He likes to pair mundane daily routines -- like putting on deodorant and watering his plants -- with funny commentary and one-liners. He has some mantras he repeats like "another one" and "bless up," which he's parlayed into some really expensive merchandise. He also likes to share "keys to wisdom," and even got his own geofilter on a road trip to Las Vegas for New Year's Eve (which anyone can do, by the way). The combination of backstage pass-like topics, hilarious one-liners, and fun use of emojis makes Khaled's account very shareable and followable. 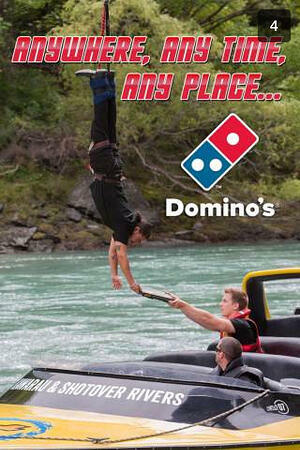 The folks at Domino's Pizza have never been afraid to experiment with new social media channels. It was the first brand to use Tinder as part of a 2015 Valentine’s Day campaign, and its "Tweet to Eat" campaign let fans order pizza via Twitter by sending a pizza emoji. As for its global presence, Dominos' social media teams around the world have adopted the platform at different times. For example, Domino's Australia started using Snapchat as early as 2013, sending out Snapchat Stories (like the one screenshot below) that aligned with campaigns the brand was doing elsewhere on social media. The U.K. team at Domino's Pizza didn't get on Snapchat until January 2016, but it started out with a pretty cool experiment that led to a lift in orders. 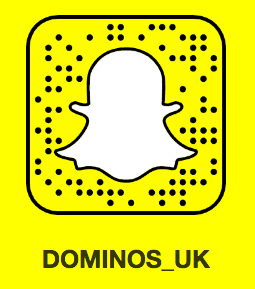 On January 20, 2016, Domino's U.K. turned its Snapchat Story into a short film, titled "Dough to Door." The film follows the journey of a Domino's delivery driver who hits a few obstacles on his way to deliver a pizza to a customer -- including an alien invasion. According to The Drum, it also showed a sequence of random letters throughout the film that amount to an exclusive discount code customers could then use online. The folks at Domino's found that the low-budget effort led to an increase in orders. "The film drove a lot more orders then we would’ve expected even though it wasn’t really a massive driver for us," Nick Dutch, Dominos' head of digital strategy, told Business Insider. Because Snapchat doesn't offer much in the way of analytics (unless you are using Snapchat for paid advertising), the only way Dutch's team was able to attribute that increase in orders to Snapchat was because of the unique discount code -- so keep that in mind when you're creating Stories of your own. 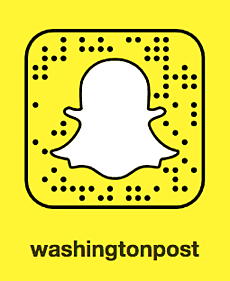 The Washington Post uses Snapchat to cover breaking news stories. 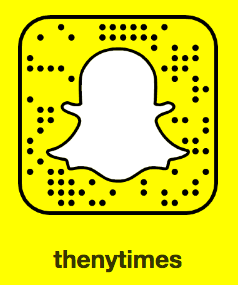 In fact, starting this year, the newspaper will begin covering breaking news for Snapchat. The Washington Post covers each and every breaking political and news story out there, and by sharing Snapchat coverage, the paper can provide its followers with a behind-the-scenes look at what's going on in Washington much faster than if reporters had to write up and publish an article. In just a few minutes, The Washington Post used Snapchat to cover a story that might require a lot more time to read or watch on the news. If you create content for a blog or publication that covers breaking news, experimenting with Snapchat might be an easy way to get stories out faster. NASA publishes fantastic explainer video series on its Snapchat, and it makes them entertaining and easy to follow whether you're a space nerd or a casual visitor. 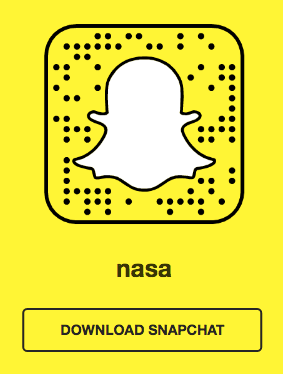 It uses Snapchat to cover breaking news stories about space, to explain complicated concepts, and to interview people. In the Snapchat Story below, NASA reviews the return of Astronaut Scott Kelly a year after the end of his yearlong space mission. It also hypes a new study NASA is running based on DNA samples from Kelly and his twin brother to investigate the viability of long-term human missions to Mars. This story is undeniably cool -- who isn't curious about what's on Mars? It's also a well-constructed Snapchat Story that uses narration, images, text, and emojis to tell a story quickly and effectively. Bustle uses its Snapchat channel to produce original or repurposed content in the same style as content on its website: listicles. 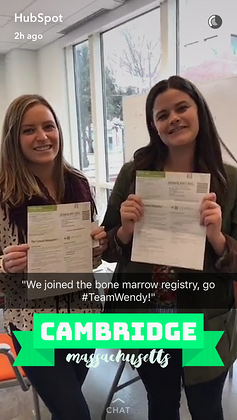 Bustle produces a ton of entertaining and informative list-style content, and it features instructional videos and lists in step-by-step format on Snapchat. In this Snapchat Story, Bustle creates a Snapchat version of a Black History Month booklist. It echoes the structure of a lot of its list-style blog posts. The summaries are a nice touch to pique viewer interest, too. 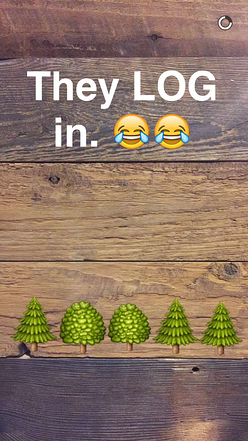 Marketers can easily create original or repurposed content in this Snapchat format. Break down a recent blog post, give followers advice, or simply record a behind-the-scenes look at how your organization does a common process. It's unique, engaging, and doesn't require a ton of creative lift behind it. While there are a lot of B2C brands doing cool things with Snapchat, there are far fewer B2B companies that have successfully built a following. 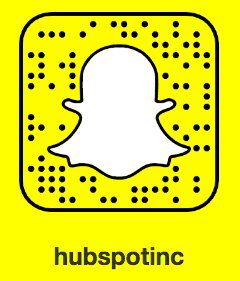 This is a challenge we wanted to take on here at HubSpot, which is why we launched our Snapchat channel in March 2016. 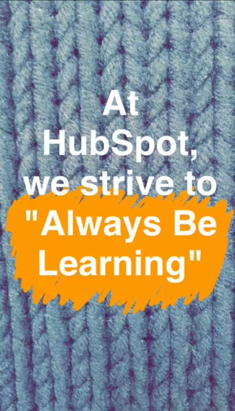 To make our Snapchat channel valuable, we're using it to serve as both a marketing and a recruiting channel -- a place where we can showcase our unique culture and perks, our awesome employees, and the inbound philosophy. 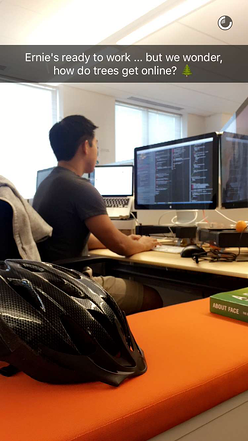 On the Snapchat marketing side, we like to give followers a good look inside the company and showcase our culture. 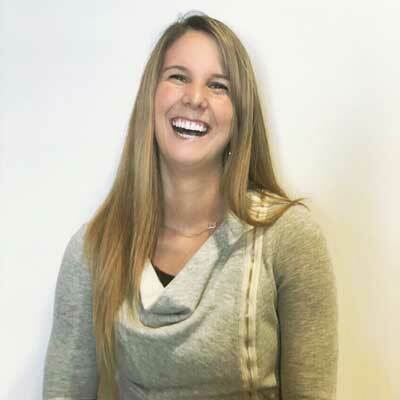 The goal here is to be educational, informative, and lovable, which are very familiar goals on our marketing team. 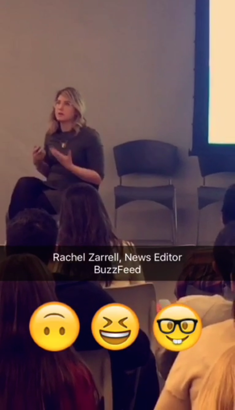 For example, when MTV News Editor Rachel Zarrell (formerly of BuzzFeed News) came to HubSpot to speak about viral content, we showcased some of her talk -- and what employees thought about it afterward -- on Snapchat. On the culture side, we want to position HubSpot as a destination -- and hopefully spur viewers to check out our other online offers like our blog, website, careers page, and so on. The key for us is using a human voice that fits in the Snapchat world, rather than a voice that's stuffy or ultra-professional. Want more advice on Snapchat marketing? 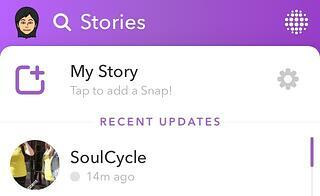 Check out some of Snapchat's hidden features and how to use them.